Thanks to the film Lassie Come Home and the subsequent remakes, the softest part in all of our hearts belongs to Collies. Their coats and proud stance make them truly regal dogs that are a pleasure to look at and play with. These dogs are not just for show though, as any owner will tell you. They are just as beautiful from the outside in and have loving spirits to match. As medium to large dogs, they stand about hip height and have a solid frame beneath their full bodied coats. They can weigh anywhere between fifty to seventy pounds, which might seem like a lot, but they are still light on their feet. By everything that counts, any dog can be a lap dog if you try hard enough. Their size is certainly a plus when it comes to herding sheep, which is what they have historically been bred to do, but it does not particularly make them suited for small apartments. If your living space is on the petite side, consider making extra time to go on walks and allow them to stretch their long legs. When thinking of these wonderful dogs, most people imagine them in their traditional tricolor palette. While these classic colors are stunning, they can also have many other variations as well. Full bred dogs can also be found in white and black coats with tan shading, or in almost entirely white coats. The most popular color currently, and the hardest to find, are the Blue Merle Collies. These coats are a mixed black, grey, and blue and are really stunning. Color variations aside, their coats also come in two different textures. 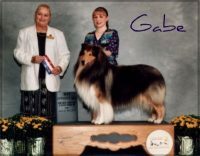 The classic rough Collie has the long thick hair that most people recognize. Smooth coats are similarly stunning, and feature short coats that highlight the streamlined classic frame. Like Hollywood suggests, these dogs are highly intelligent. They have the ability to learn a wide variety of commands in a small amount of time. That’s not to say training your dog will be easy, but the results may be seen more readily than with other more difficult breeds. Intelligence extends far beyond just the ability to learn new tricks though, these lassie dogs have an incredible memory and a friendly, obedient personality. 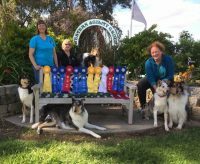 For families, these dogs are one of the most recommended breeds because they do so well with children and parents alike. With a tolerance for play and a healthy amount of energy, as pets, these lovely pups can keep their young companions safe and entertained for several hours every day. There are many ways to make sure your dog stays fit and healthy. Just like in our own lives, our pets need proper attention to their diet and exercise. When it comes to feeding and grooming your pet, make sure to clear any new products with your veterinarian. Collies have a higher sensitivity to medicines, soaps, and artificial additives than other dogs. Their typical lifespan is just over a decade for a fit pet. If you are purchasing your pet from a breeder, make sure to ask about the health of their parents. There are several hereditary conditions of which to be aware, this includes “Collie nose” and hip dysplasia. The aptly named skin condition presents as continually dry or peeling skin on your dog’s nose. 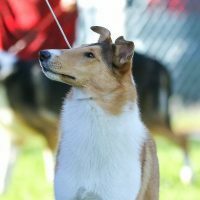 While bad hips are common in popular family dog breeds due to improper reproductive techniques in puppy mills and other irresponsible facilities, finding a healthy dog is not difficult if you use responsible sources and communities dedicated to the breed. There are rescue foundations all over the country that are desperate to find loving homes for this particular breed of dogs. Their fame didn’t start with their silver screen roles; the breed has been in high demand for centuries. Turn of the century mogul, J. P. Morgan owned a beloved dog named Sefton Hero, and raised entire kennels of the breed. Their cleverness comes from a long history of herding sheep and other pasture livestock in Western Europe. There are countless stories from many news stations about these pets saving their owners from tragedies time and time again because of the intense bond they form with their families. They have been owned by several US presidents, such as John F Kennedy and Lyndon B Johnson. Some even famously served in WWI. Bullets, a brave military messenger dog, faced gunfire and gas attacks on the frontlines.